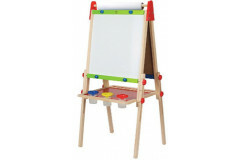 the only height adjustable double sided children's easel. 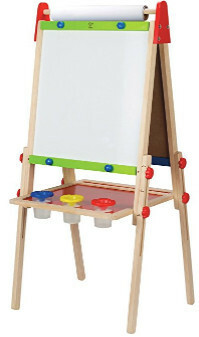 features a magnetic whiteboard on one side and a chalkboard on the other with three paint pots and replaceable paper roll. recommended for ages 36 months to 8 years old.